If your dog will be boarding with us, please register online, set up a trial day, and let us know if you have any questions! One full day of daycare (a "Trial Day" - see Daycare page) is required for each dog, prior to their first boarding stay, to be sure they will be a good fit and that they know they will be picked up after having a good time with our pack. All our boarding services are by reservation only. If you need to cancel a boarding reservation please let us know at least 24hrs in advance. No call no shows will be billed 25% of the estimated stay. However, for all major holidays we require a deposit of 25% of the estimated stay and it is due at the time of reservation approval. We require a minimum 3 night stay over major holidays. This includes 3 days before and 3 days after the actual holiday. (These deposits are refundable up to 14 days before the reservation start date). Failure to cancel within 14 days will result in a forfeit of your deposit. We charge for boarding from morning to morning, meaning check-in and check-out time is in the morning. Late check-outs (after 10am) roll over into daycare for that day and incur a discounted daycare fee of $22 per dog. If you pick up before 10am there is no daycare fee, if you pick up after 10am there is a discounted daycare fee. It is very important to us that we know approximately when you will pick up your dog, so we may determine whether or not to feed them dinner and take them out for their final potty time. We don't want your dog throwing up in your car or even worse, getting bloat (which is life-threatening). We also don't want to have to feed your dog right before they are kenneled for the night, as that's not fair to them. We plan our feeding (and digestion) times with care. Please help us out with this and let us know if your plans change! Every night of boarding is preceded by and includes a day of daycare. 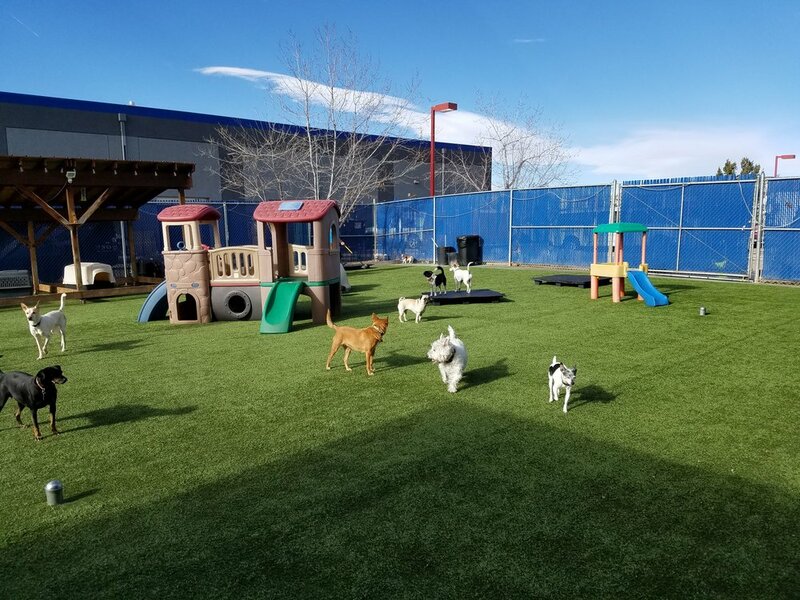 If you've read our Daycare page, you know that our primary goal is to provide a safe, positive, social environment for every dog who stays with us. We do not allow check-ins after 10am because it is our experience that dogs who arrive late–even the nicest dogs–are disruptive to the positive social environment, causing stress for and sometimes conflict with the other dogs. Please arrange to have your dog arrive as early in the morning as possible (as early as 6:30am), giving them the opportunity to make themselves at home in the pack and be ready to rest while the other dogs rest. We want to set every dog up to have a good time! Early drop-offs help! For your dog's sake, we require that you provide their own food; the same food they usually eat. Changing a dog's diet abruptly can upset their digestive system, and especially in a new environment. This can lead to your dog feeling ill, being generally unhappy, and messy. Please bring their own food, in an airtight container, and a little more than you think they'll need for the duration of their stay. ('Zip-Lock' bags work great.) Please write their name on their container(s). We do not charge extra for special diets or feeding instructions, but if feeding your dog is a complex routine, please consider how you can simplify it for us. In case we ever need to add/supplement/replace your dog's food, please be sure that, if your dog has allergies, they are noted in your dog's file - you can do that when you register or after logging in to your account. Also, of course, please bring any medications your dog requires (see below for more details). We also request that you bring their own bed or bedding from home, which will give them some sense of familiarity while they are away from home, as well as a soft place to lay down. (A dog's sense of psychological wellbeing is largely tied to familiarity.) We have very limited bedding available, if you forget yours, but strongly prefer you bring their own. We are happy to administer any medications your dog may need, at intervals that are required (generally at or around feeding times), at no additional charge. If your dog needs medications overnight please let us know and we will try to work with you. We require (as is required by law) that their pharmaceutical (prescription) medications are given to us in their original un expired prescription bottles, with accurate dosage information (as prescribed by your veterinarian) intact on the bottle, and some contents still in the container. *Note: all schedules are subject to change and adjustment for the care and safety of all the dogs. 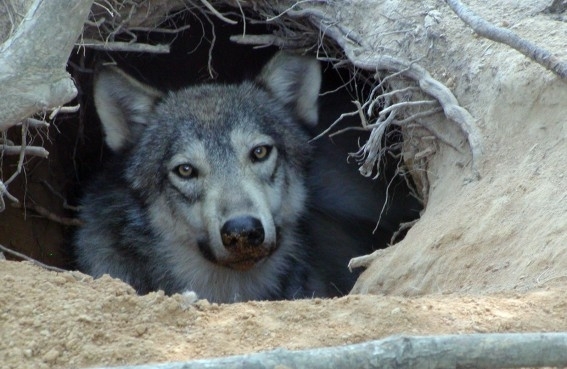 Wild canines sleep snug in small dens. This is why domesticated dogs easily adapt to sleeping in kennels and crates. *In cases of upset stomachs, we may add pumpkin to their food to settle their stomach, or acidophilus (probiotic). In severe cases we may administer Peptobismal. For potential urinary system irritations/infections, we administer cranberry extract. Nope! For us, every dog, no matter their size, requires the same amount of care, so we charge the same amount regardless of their size. My dog has complicated feeding routines / instructions. Can you accommodate that? Yes! But please be sure they are listed as people authorized to pick up your dog when you register/create your account. Or when you drop your dog off let us know who will pick them up. Also, please be sure you put a credit card on file (highly encrypted and secure) or that whoever is picking up your dog can pay at check-out.